“A good time to work on your competencies is while you are in college. And these competencies include ‘soft’ skills’. 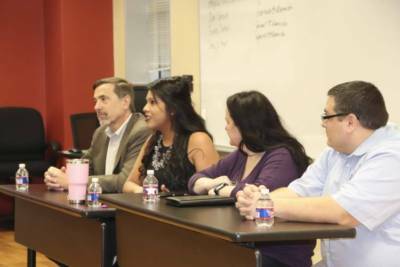 Seven business leaders gave their top tips on developing ‘soft skills” and demonstrating that you have leadership potential during two speaker panels for the NVC Business Student Organization last week in Pecan Hall. 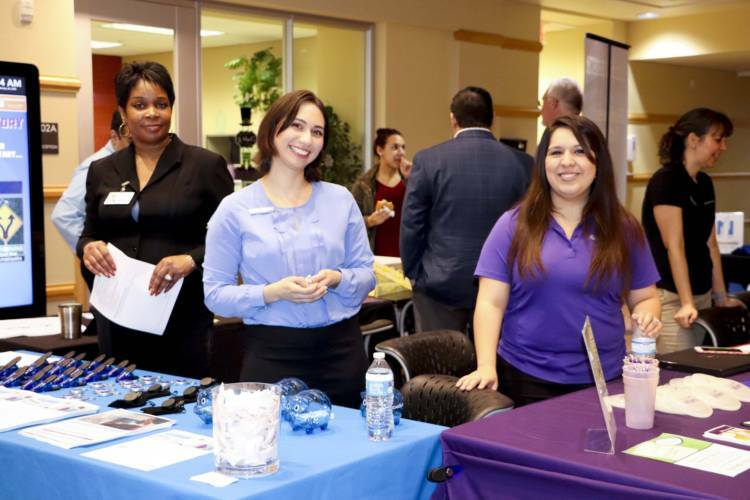 A Career Fair with employers from banks, insurance companies, financial services and the hospitality industry talking to students about internships and jobs they have available was also held during the two days. 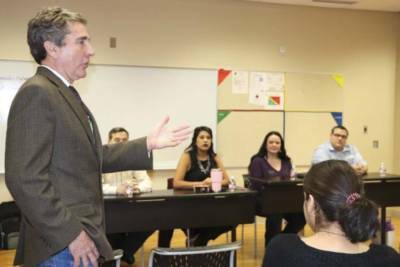 The panelists, consisting primarily of members of the NVC Business Council, discussed strategies and suggestions with a combined audience of more than 85 students. On Tuesday, Feb. 20, speakers on the topic of “Developing ‘Soft Skills’ Employers Are Looking For When Hiring” included Reina Perez, customer service supervisor, Wells Fargo Home Mortgage; Steve Johnson, owner, College Nannies, Sitters and Tutors; Carolyn Sartori, vice president, GM Financial; and Patrick Quilty, NVC Store Manager, Follett. On Wednesday, Feb. 21, panelists discussed “How To Demonstrate that You’re a Potential Leader and Can Technology and Business Certifications Increase Your Marketability”. In addition to retired NVC Business Instructor Michael Goeken,, the panel also included Mr. Johnson and Ms. Sartori. The speaker panels and presentations are a project of the NVC Business Council, a membership organization which actively seeks partnerships and collaborations with businesses and their leadership for NVC and its students. Membership dues for the Council support NVC scholarships.